The Public Service Loan Forgiveness program seemed like a small but necessary action to combat the student debt crisis when it was enacted over ten years ago, even before the national student debt balance had ballooned over $1.5 trillion. The public service loan forgiveness program was signed into law in 2007. To qualify for forgiveness in the program, one must be a public service or non-profit worker, hold federal direct loans, and make monthly, on-time payments for 10 years in a qualifying repayment plan. 2017 marked the first year that anyone could be eligible under the terms of the program, but the Education Department has not been very forgiving since then. 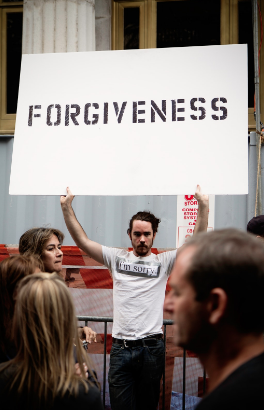 While some 30,000 borrowers have applied for forgiveness, only 96 have been released from their debt. Roughly one quarter of American workers are in public service. With 7 out of 10 graduates entering the workforce with student loan debt, it seems that many more Americans should be eligible for forgiveness in the program. Unfortunately, there are a number of factors contributing to the abysmally low number of forgiven borrowers. The federal government laid out three requirements for borrowers to qualify for loan forgiveness. Unfortunately, the rules are not as simple as they appear. Only federal direct loans qualify, but many borrowers hold other types of federal loans. Without understanding the difference, many have begun repayment plans in hopes of forgiveness only to find out years in that they have the wrong kind of loans. Eligible borrowers must also make on time payments, every month for ten years. But not all repayment plans qualify. Borrowers must have an income-based or standard repayment plan, and not an extended repayment plan. The extended repayment plans can sometimes appear more attractive to low-paid public servants. The government has also struggled to accurately convey information to hopeful participants in the program. 29,000 people incorrectly believed they were eligible for forgiveness, pointing to a troubling disconnect in communication. It is unclear what the future holds for the Public Service Loan Forgiveness program. Some representatives in Congress have pushed for even tighter eligibility restrictions, and President Trump proposed a budget that slashed all funding for the program. It may be time to look for other ways to assist borrowers in paying back loans. Student loan repayment benefits for employees should be one area to look for employers.